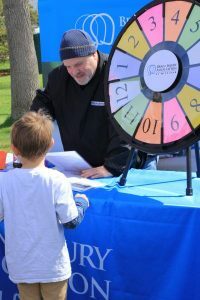 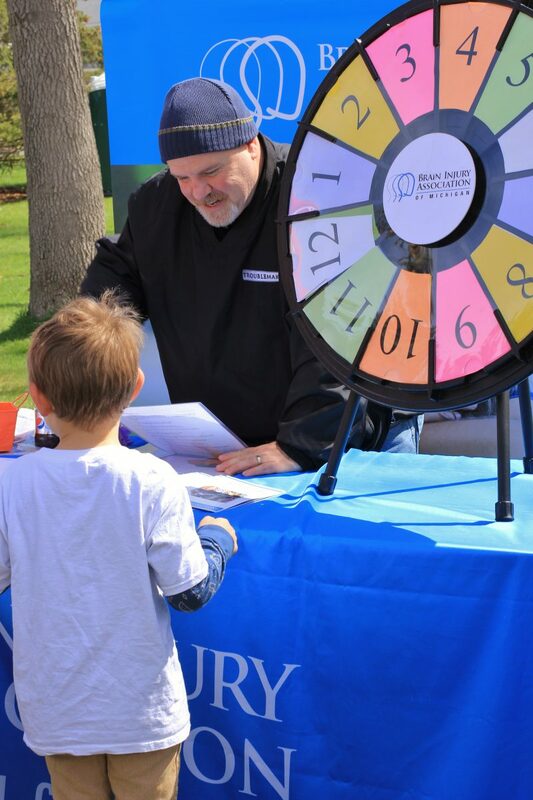 For the first time in event history, Lids for Kids Traverse City experienced near-perfect weather, which undoubtedly contributed to its tremendous success this year. With sunshine, cloudless skies, and temps in the high 50’s, northern Michigan was really showing off as sponsors and volunteers gathered at F&M Park in downtown Traverse City Saturday morning, May 12, to prepare for the event. This is the third year Lids for Kids Traverse City has rolled into town. 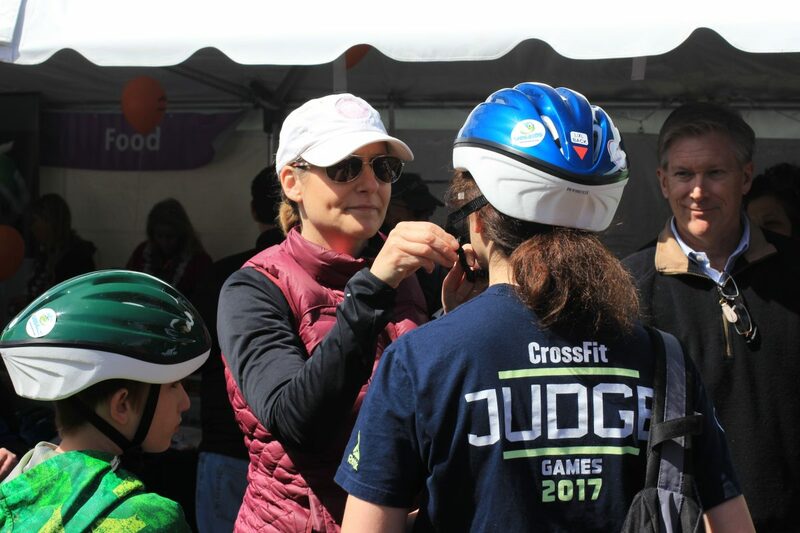 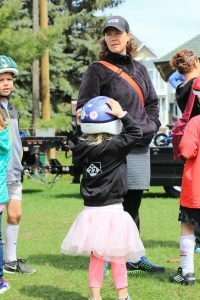 Families came out in droves so kids could get properly fitted for a free bike helmet. 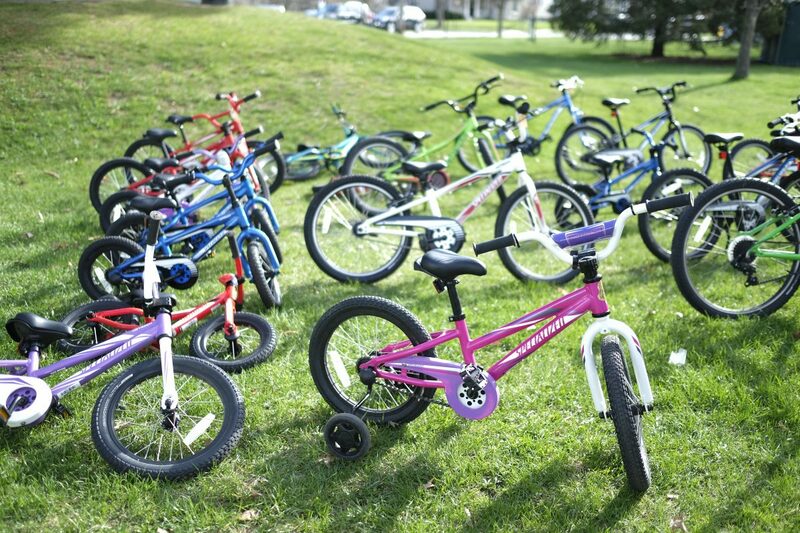 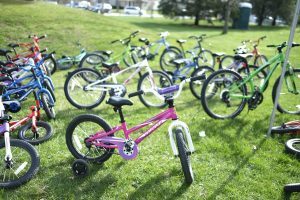 Twenty-six bikes were also raffled off to excited event-goers as young as two-years-old. 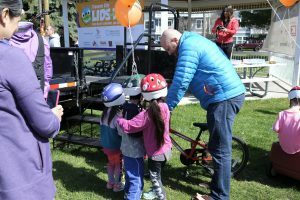 Traverse City Fire Department came with a fire engine for kids to tour, while Traverse City Police showed up with a cruiser and motorcycle, lights flashing. 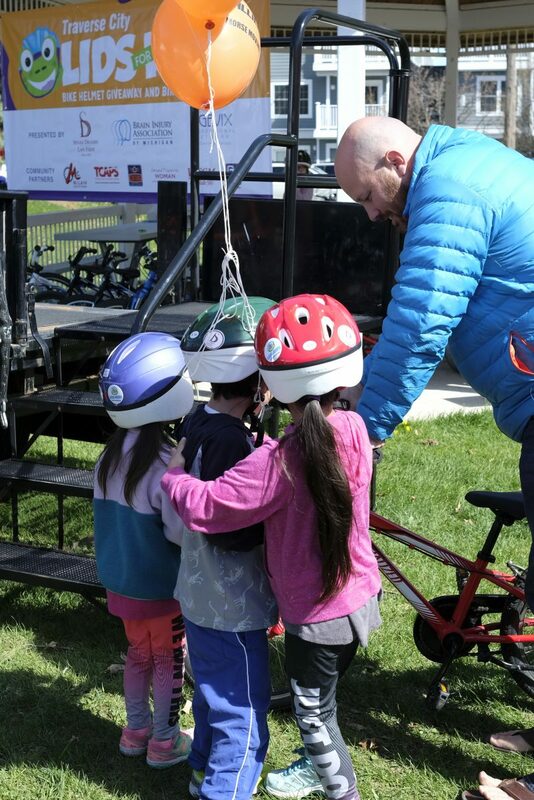 Within two hours, over five-hundred bike helmets had been fitted and given away, all due to efforts to keep Traverse City area kids safe this summer while riding their bikes. 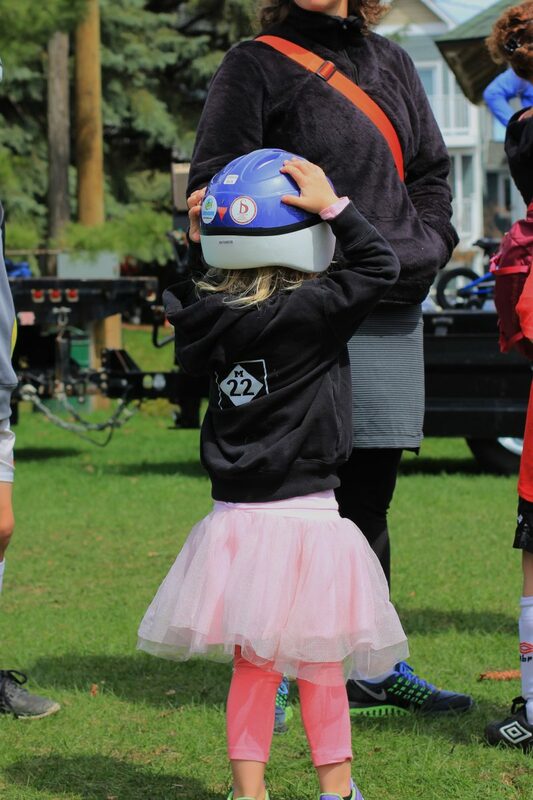 After all, a properly fitted bike helmet is the number-one preventative of bicycle-related brain injuries. 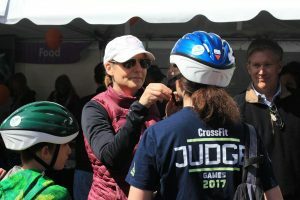 Sinas Dramis proudly partnered with co-sponsors Brain Injury Association of Michigan and Agevix Professional Network for Exercise Therapy, as well as local partners, including Traverse City Area Public Schools, Norte Youth Cycling, McLain Cycle & Fitness, Grand Traverse Woman Magazine, WTCM NewsTalk Radio 580, and Grand Traverse Construction. 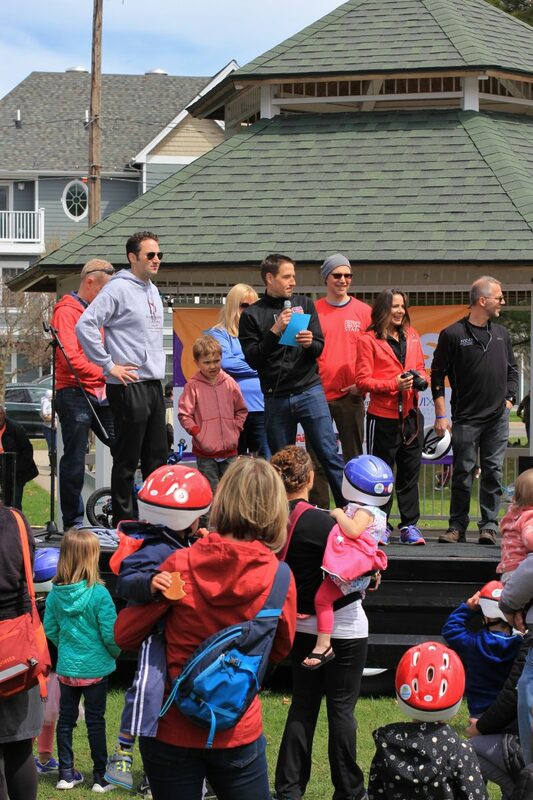 Without their help and support, this event would not be possible. 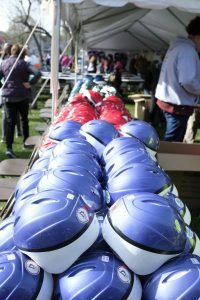 We are so grateful for all you do to make Lids for Kids Traverse City a great day for local kids and families, year after year.